After an emotional funeral service Saturday for Walter Scott, during which the pastor decried the black man’s death at the hands of a white police officer as “an act of racism,” the weekend of mourning, remembrance, and advocacy will continue with memorial services and a vigil Sunday. The Reverend Al Sharpton is expected to preach about the death at a North Charleston church, before attending a vigil near the scene of Walter Scott’s shooting by Officer Michael Slager. Given Sharpton’s previous advocacy on behalf of the families of Eric Garner (who died in police custody), and Michael Brown (killed by a police officer in Ferguson, Missouri), his involvement in the North Charleston proceedings makes sense. Walter Scott was fatally shot on April 4, after Officer Slager stopped him over a broken brake light in his Mercedes Benz sedan. What happened next was captured on video, and ultimately led to Slager being firing from the force and charged with murder. Slager has said that he felt endangered, after Scott supposedly grabbed his Taser. In the video, Slager seems to fire eight times at his suspect as Scott runs away. Scott was pronounced dead at the scene, and his death — the means of which is unfailingly apparent in the well-circulated video — has re-ignited debates over the issues of deadly force, video surveillance and racial profiling in the police force. Sharpton’s sermon today will no doubt bring similar words decrying structural injustice along racial lines. The Baptist minister and civil rights activist’s National Action Network played a prominent role in the protests after Michael Brown’s death in Ferguson. But the NAN has consistently approached the North Charleston situation with caution, clearly uninterested in protest for the sake of protest. After the shooting, and before the names of those involved had been released, the president of the local chapter pleaded patience. “I don’t want this to become another Ferguson,” Rev. James Johnson said. The statement did not specifically mention Sharpton by name, but he has been at the forefront of the movement to get police harassment and excessive force into the national consciousness. The New York Daily News even reported, citing an unnamed source, that Scott’s family had warned Sharpton to steer clear. But the reverend has denied that claim, and on Friday Anthony Scott, brother of the deceased, said the NAN had been working closely with the family since the shooting. Protest over the Scott shooting has so far been a relatively staid, shell-shocked affair. 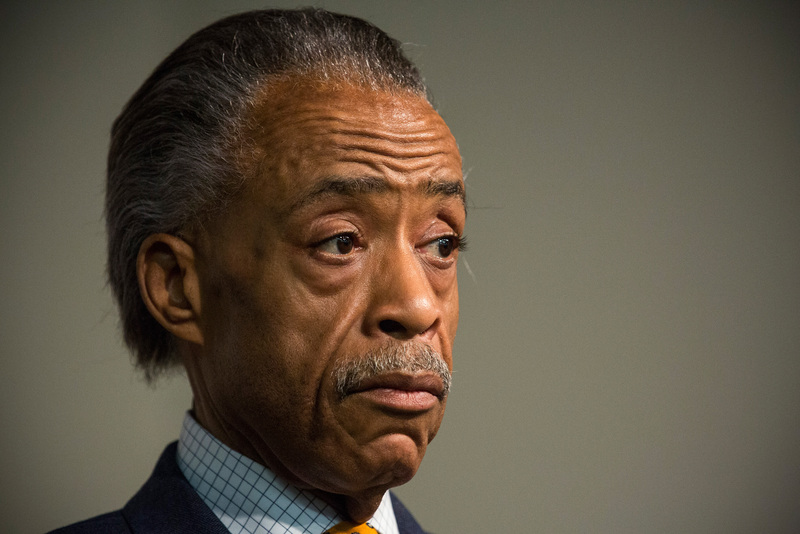 Sharpton has confirmed that he will speak Sunday at Charity Missionary Baptist Church. Among the congregation will be Mayor R. Keith Summey and Police Chief Eddie Driggers. Afterwards, The New York Times reports that Sharpton will meet privately with the Scott family before attending the vigil. There must be national policy and national law on policing… It not only protects the citizens, but it also protects the police… Whether [cameras] helps the police or the citizen, no one should fight transparency. I think folks are probably at a heightened state of just disbelief… People are angry. They’ve finally got the eyes of the nation on a situation we’ve been dealing with for years.